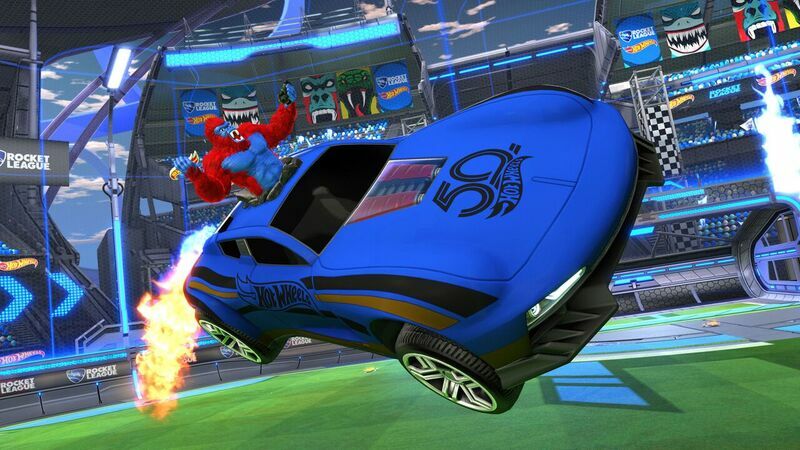 Psyonix Studios has just teased a new car body in honor of Rocket League’s #NameYourCarDay on twitter. The silhouette of said body looks to be rather sleek in design, something that will no doubt be another flashy edition to the already overwhelming roster of available vehicles. Fans have already began speculating as to what the car might look like, more notably some twitter users comparing the silhouette to a duck with a spoiler. They’re not far off. This reveal will hopefully be the beginning to another line-up of car releases following the more recent Hot Wheels set that arrived not long ago. Could it be another licensed vehicle from a franchise we all know and love? Psyonix Studios hasn’t been the least bit shy about expressing their love for pop culture references with notable cars like The Dolorean from Back to the Future, and different versions of the Batmobile from differing titles and films. It feels as though Psyonix Studios has yet to brush the surface of what their licensing abilities are capable of. There are literally hundreds of renowned vehicles in pop culture for the studio to throw into Rocket League. Which vehicle would you like to see added to the roster of vehicles? Let us know in the comments!